This is why the ethical fashion movement has been accused of being elitist, and why questions arise as to who can actually participate in it. After all, while there is an overall gender pay gap, black and brown women in America are often the most economically marginalized: African-American women make an average of $.64 to the white man’s dollar, and Latina women make an average of $.56. In comparison, white and Asian-American women averaged at about $.77-.80. (via Huffington Post). And when you’re a college student, these statistics don’t even matter- more likely than not, you’re already pinching pennies just to afford tuition and books! Its no wonder that when it comes to the sustainable fashion movement, the issue of affordability always comes. If not everyone can afford to buy ethical brands, who can actually be included in our cause? 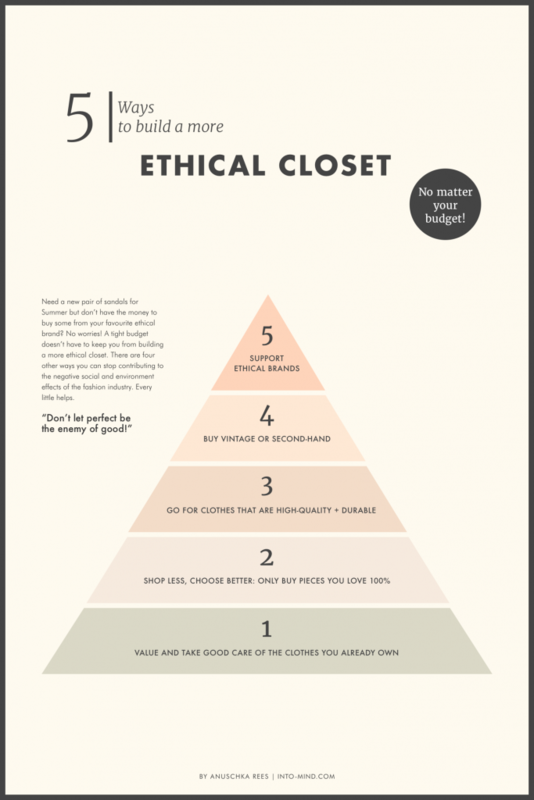 The good news is, buying sustainable is not the only way to be a more ethical shopper. There are many ways to build a sustainable wardrobe, no matter your budget. We believe in making sustainable fashion inclusive for everyone, so read on to find all kinds of ways to join the movement, no matter what’s in your bank account. Did we mention there are a few free options too? If you’re balling on a budget, we salute you! We bet you are still styling while stretching that dollar around the block- and making it look easy too boot. We have a few recommendations to help you build your sustainable fashion habits with zero to low cost methods. To begin, start with what you already have. And no, don’t throw out that Forever 21 blouse just because you know it’s fast fashion! 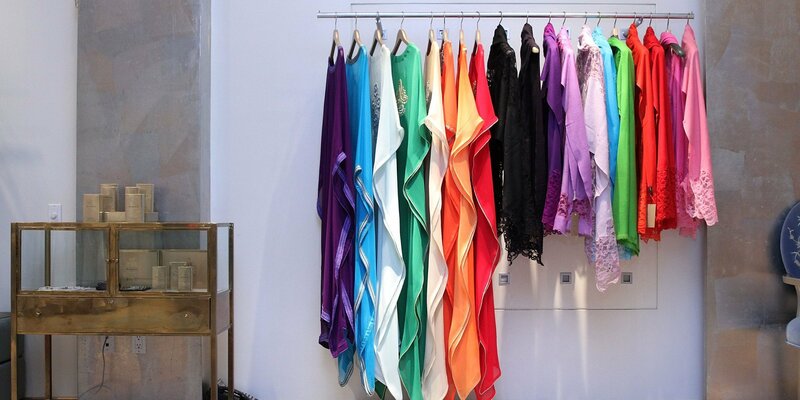 While you may have consumed a lot of fast fashion brands before, you don’t need to get rid of any of them (actually, doing so would contribute to the creation of more waste, so hang on!). Instead, find ways to re-style or re-purpose them, and if you find something a little worn out, try and repair it (a practice we need to employ more often instead of throwing things away because of slight damage). You can also take them to a local tailor or seamstress to see if you can update the item by adding new buttons to an old jacket, or shortening the length of an old skirt to give it a new life. The idea is to try and keep our clothes for as long as possible instead of having to buy new ones. Another idea is to host a clothing swap with your friends. Invite everyone for a night in to your place and ask them to bring their old, unwanted clothes. Then swap and exchange! More often than not, one woman’s trash is another woman’s treasure, and no one will have spent a single dollar. In these ways, sustainable fashion isn’t just good for the people or the planet, it’s also good for your wallet. If you’re on the come up, you might have a little more money to play around with, but you still want to keep it classy and low cost at the same time. Fear not, we got you covered! First, try buying vintage or from consignment stores. Both options are great because they provide secondhand items at a lower margin, and since you are essentially recycling them, you are not adding to the fashion waste pile. Second, shop less, but choose well. Instead of the impulse buy, make an effort to buy higher quality items that you know will stay in your closet for a long period of time. A general rule of thumb when shopping is to ask yourself if you can imagine wearing the item at least 30 times (#30wears). If not, then it’s probably a better idea to leave it behind. In short, when shopping, think of it as a long-term relationship, not a one-date wonder. Only buy things that you know you really love. Well boss lady, we can imagine you’ve worked hard for your money, and you deserve to treat yourself! If you’re in a place where you have enough disposable income to invest in high-quality, ethical items, then we invite you to check out our SHOP for reliable designers and brands that were carefully vetted by our team. Not only will your money go a long way, but you will also be supporting some important social and environmental causes through your purchase. So go on, shop your way to meaningful luxury, and don’t forget to employ some of the methods we named above as well. They apply to everyone, regardless of income bracket. Now go on, remake that wardrobe and make us proud!